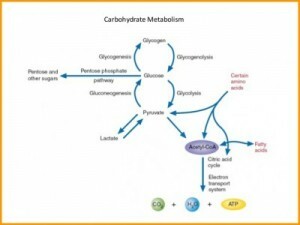 Home Anatomy and Body What Is Metabolism? You must have heard the term metabolism several times and if you are unsure what it means, read on to find out. Metabolism is basically the set of chemical reactions in your body that keep your body healthy and alive. If you have a good metabolism, your body will be able to repair it cells, make sure the organs function properly, regulate breathing and ensure proper breakdown of the food in your body. Thus you can understand why having a good metabolism is so important as your entire functioning depends upon it. Your metabolism is determined by several factors like age, weight, gender and also with the amount of nutrients in your body like the quantity of proteins, carbohydrates and fats etc. If you eat the right nutrients, you are sure to have a healthy and active metabolism. Catabolism:This process involves breaking down the molecules in your body to get energy to allow the body to function well. 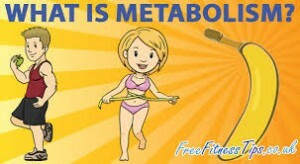 Age: As you age, you will find your metabolism becoming slower. This is because we start losing muscle mass especially after the age of 40. Once you turn 40, you lose 5 per cent of your muscle mass every decade. Gender:If you are a man, you have much more muscle man than a female and thus can burn more calories so your metabolism will be higher comparatively. When women go past the child bearing age, their metabolism slows down considerably and their baby fat tends to stay on. Heredity:Your metabolism will be determined to a large extent by your genes. Weight: Your weight also determines your metabolic rate and people who tend to be on the heavier side will have a much higher metabolism than a thin person. This is because they will need more energy to just move and thus will burn more calories. Basal Metabolic Rate or BMR may sound like a big term but it simply means the minimum amount of energy your body requires to burn a lot of calories. This is around 40 to 70 per cent of the energy that your body needs to keep this rate going strong. The percentage of energy that you need to keep this BMR regular is also dependent on factors like age, lifestyle and weight. So when people say they are low on energy and have a low metabolism, it means they have a slow BMR. If you did not get the right nutrition, you would not be able to break down important nucleic acids like DNA and RNA that are necessary for our existence. Your metabolism determines the path to break down these nutrients and how much is needed for to regulate the body functions. Your metabolism also tells you how much you are lacking in the nutrients that keep your body going strong. We all need carbohydrates to maintain our regular energy level in the body. We get this energy from carbohydrates like cellulose, starch and sugar that are present in the food we eat. Your metabolism will digest and then break down these compounds for energy and then distribute it throughout your body. On a general basis, we only eat half of the required amount and that is why we feel tired and less active. You can get a god amount of carbohydrates from food like cereal, bread, pasta, rice, wheat and potatoes. Once you have digested these carbohydrates, it is synthesized into metabolized sugar and starch and converted into glucose. Healthy fats are required by the body to maintain a very high energy level as it has more energy that even proteins and carbohydrates. These healthy fats help create and maintain a good cell structure, create a good cushion to protect your organs, help absorb vitamins required for the body and also act as a storehouse of energy. The healthy fats that are essential for your body are actually unsaturated fats like linoleic and arachidonic fats. Green tea: If you drink green tea regularly, you will find that the fat around your belly will reduce considerably. Drink one cup of green tea as you get up and then throughout the day in addition to coffee. Vitamin D: You need to get the right amount of Vitamin D to keep your body as fit and healthy as possible as it helps burn fat easily. The right food: To keep a good metabolism rate, you should ensure that you eat enough iron and protein. Eat pepper and chilies to reduce fat and increase metabolism. A Regular diet: Make sure that you eat regularly as it keeps your blood sugar stable and your metabolism high. Exercise: Make sure that you exercise regularly to keep your metabolic rate high and walking and swimming are the best activities to do so. Next articleWhat Is Gelatin Made Of?